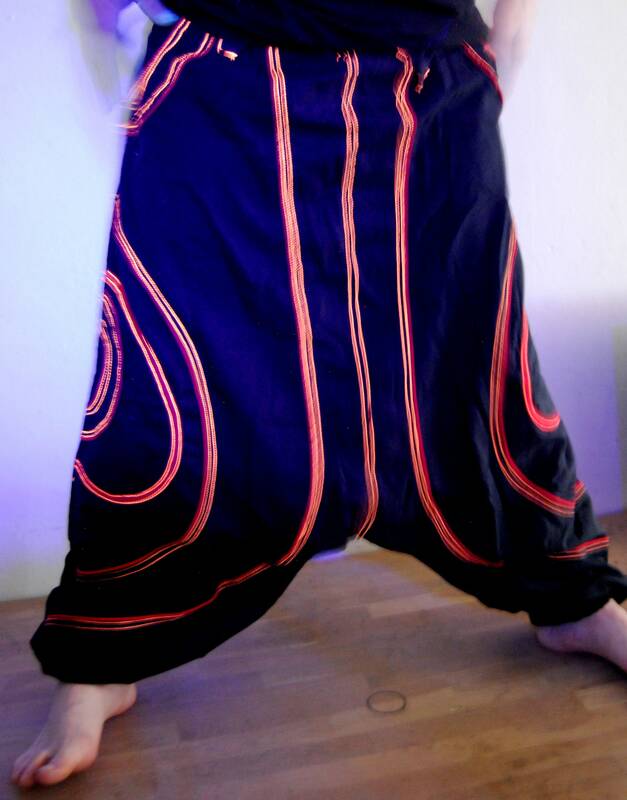 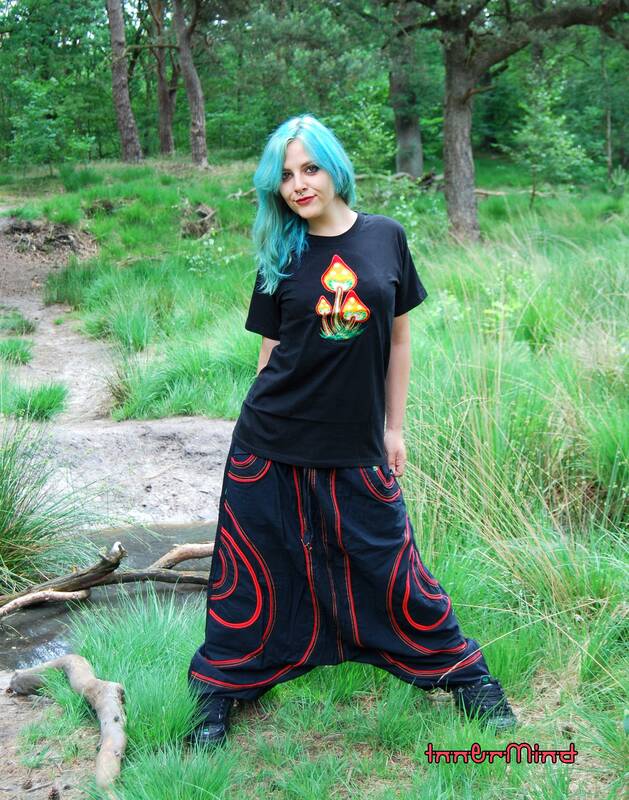 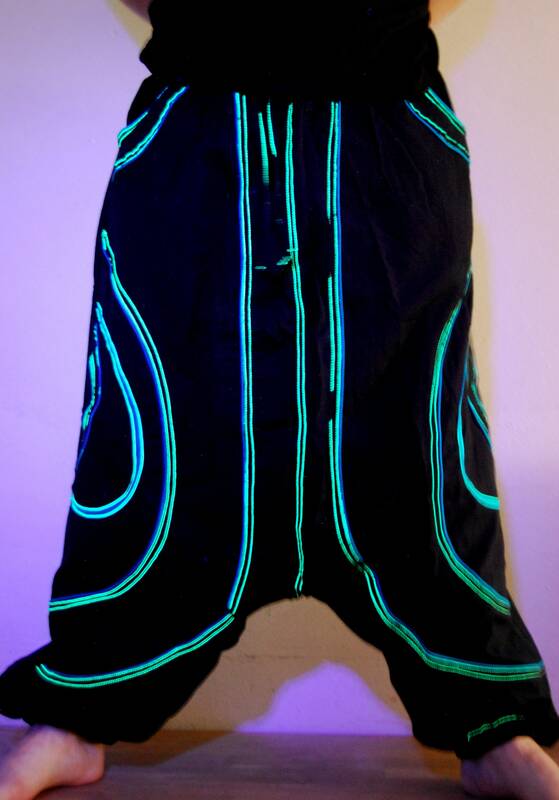 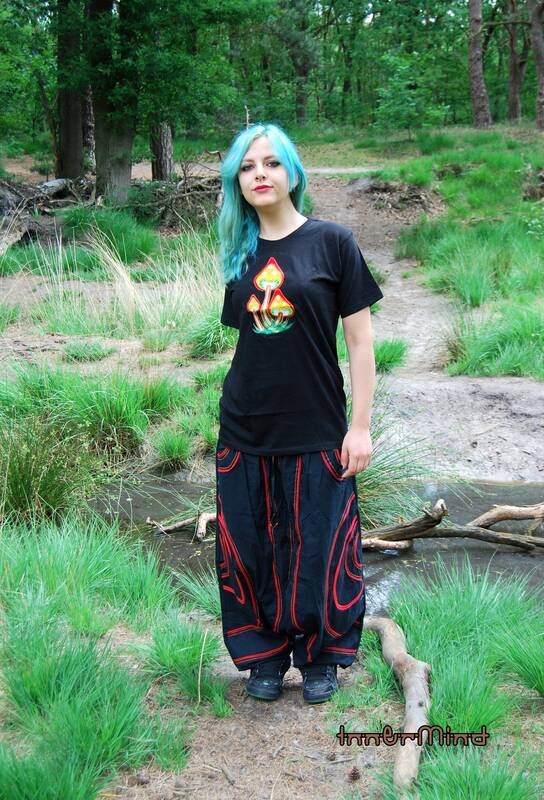 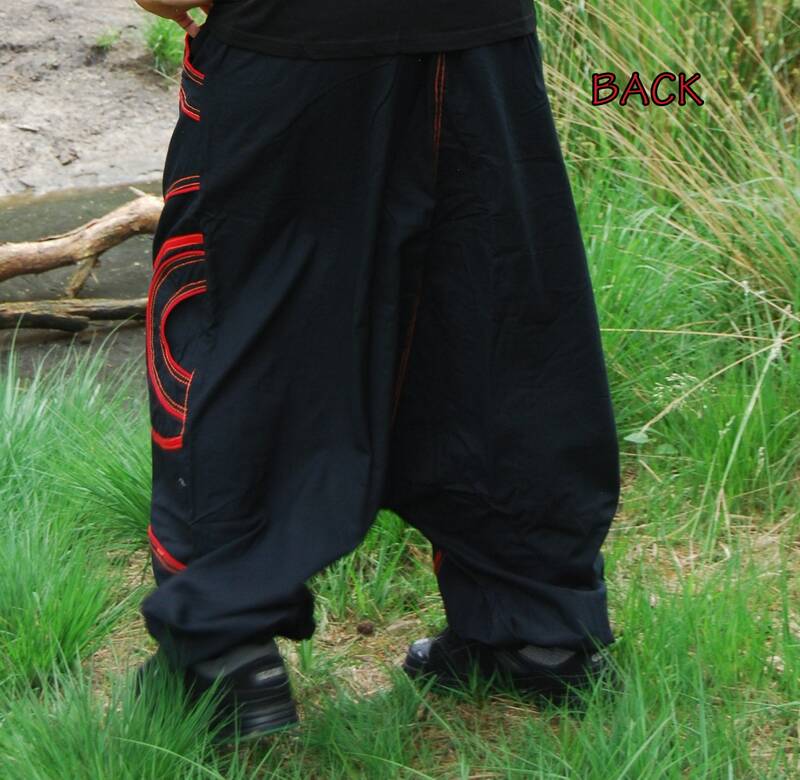 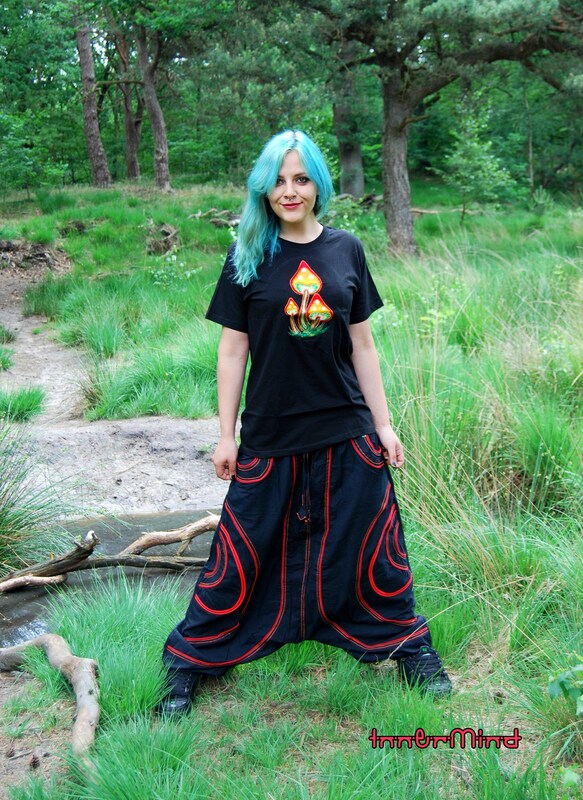 Comfortable cotton InnerMind harem pants with UV reactive stitching, several pockets (2 normal, 2 small). 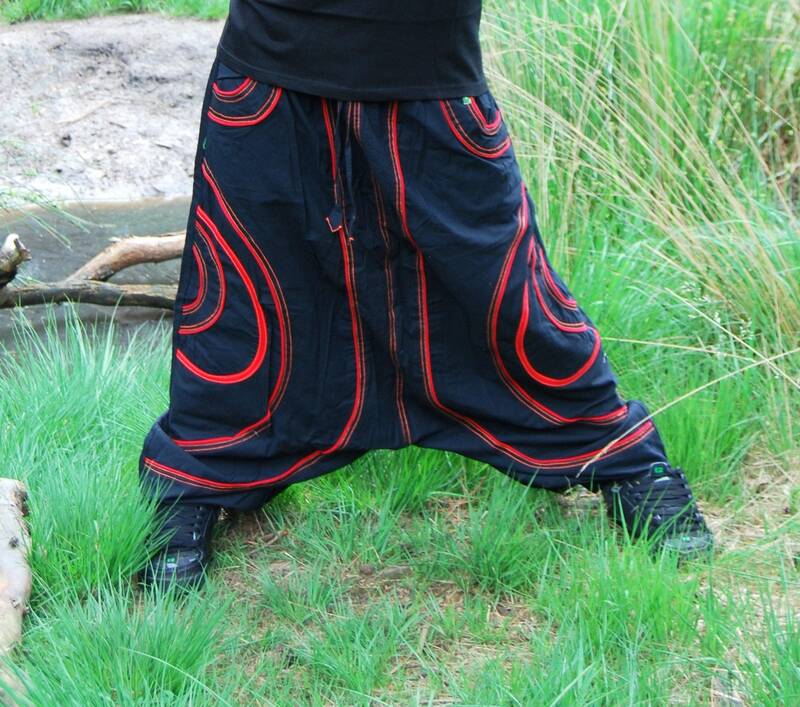 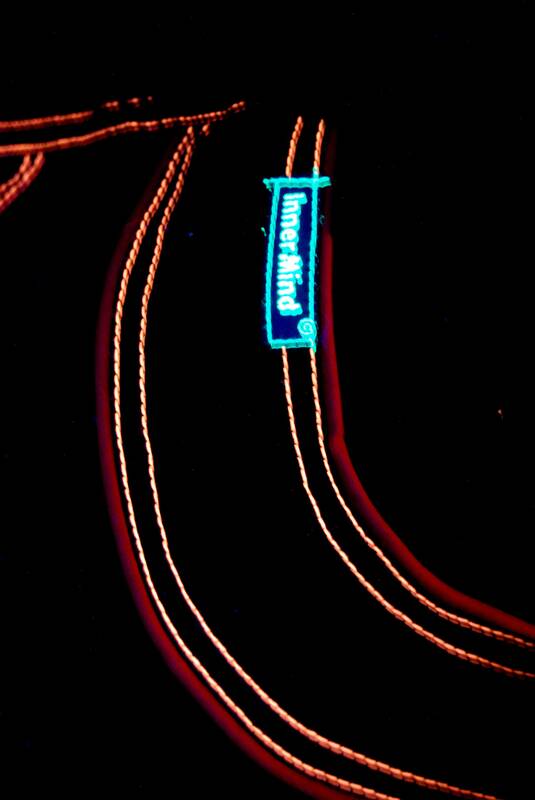 The red trousers have uv active orange stitching. 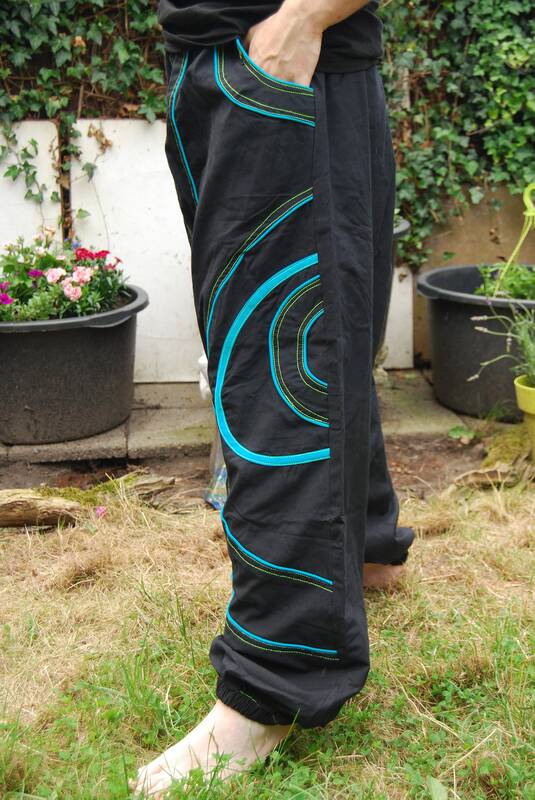 The blue trousers have uv active yellow stitching.